Niels Barfoed, Christoffer Bro, Robert Broberg et al. Danish / Swedish / Norwegian / Finnish co-production, realized on the initiative of Swedish Film Industry. The idea competition was to let a promising young director from each country instructing separate sections. 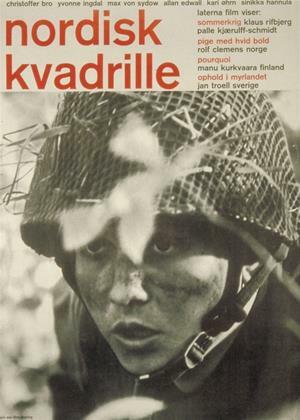 It was the "Summer War" (Palle Kjærulff-Schmidt, Denmark), "Pourquoi" (Maunu Kurkvaara, FI), "Pike with hvit ball" (Rolf Clemens, NO) and "Uppehåll in Myrlandet" (Jan Troell, SE).